Vogue peasant blouse sewing pattern. No. 7650, Vogue Pattern Service. Fun and comfortable peasant style. Off the shoulder elastic neckline. Full gathered sleeves in both long and short sleeved versions. Easy to sew raglan sleeves. This top looks like it would be a quick and easy blouse to sew. 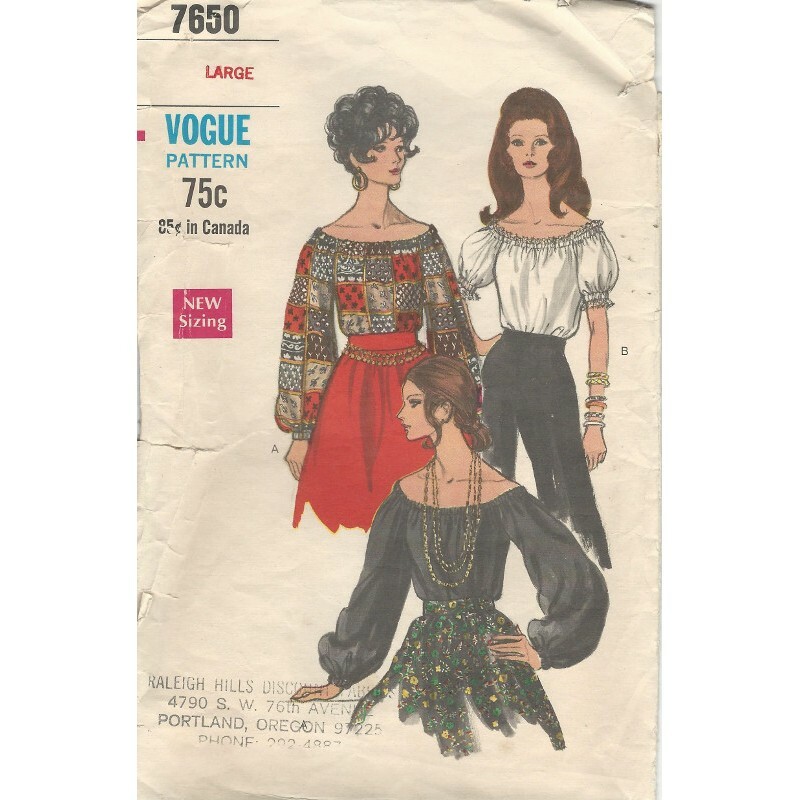 Vintage, 1960's peasant style from Vogue! Date: Undated. From the late 1960's. Size: Large. See photo for measurements. Condition: Checked and counted with all of the pieces and instructions here. Envelope has wear, some tearing and store stamp on the front.